For assaults on police, the NEAR Act neither requires jury-demandable prosecution nor expands the right to claim self-defense. Players: Associate Judges Glickman and Fisher and Senior Judge Washington. Opinion by Judge Washington. Fletcher P. Thompson for Appellant. Trial Judge: Kimberly S. Knowles. Facts: MPD officers arrested appellant for assault on a police officer (“APO”) following an encounter outside of his vehicle. At trial, the government presented evidence that when the officers approached, appellant became agitated, ignored requests to move out of the street, and flung his arms wildly, hitting two officers. Appellant continued to resist, ripping a third officer’s uniform when police took him to the ground. The government elected to prosecute appellant for misdemeanor simple assault, a non-jury-demandable offense, rather than APO, which would have been jury-demandable under the Neighborhood Engagement Achieves Results (“NEAR”) Act. Appellant nevertheless argued that he was entitled to a jury trial. Appellant further argued that because the government had declined to prosecute APO, he should not be bound by the limits on self-defense that apply when the complainant is a police officer. The trial court rejected both arguments and found appellant guilty of simple assault. Issue 1: Whether the NEAR Act requires the government to charge jury-demandable APO when the complainant in an assault is a police officer? Holding 1: No. The NEAR Act created separate APO and resisting arrest offenses in response to widespread concern that APO was too broadly defined. Although the Act also increased the penalty for misdemeanor APO and resisting arrest to make both offenses jury-demandable, there is no evidence that the Council intended to remove the government’s ability to prosecute simple assault where the complainant is a police officer. Simple assault remains a lesser and included offense of APO. Issue 2: Whether the NEAR Act expands the right to claim self-defense in simple assault cases where the complainant is a police officer? Holding 2: No. The rule whereby one may not use force against a police officer in self-defense unless the officer has used excessive force exists to protect officers in the line of duty. 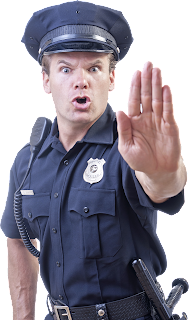 Although the NEAR Act limits what may constitute APO, there is no evidence that the Council intended to overrule the restriction on self-defense claims. Broadening the right to use force against officers would endanger them and impede their work. WC.